The world’s first Social Star Awards is happening on the 23rd of May, and happening in our very own Singapore at Marina Bay Sands! On the 24th and 25th, Singapore will play host to some of your favourite music superstars including PSY, Carly Rae Jepson, Cee-Lo Green & more at the Singapore Social concerts! I’m happy to announce that thanks to the folks at Starcount, I have THREE PAIRS of tickets to give away for Friday’s concert, starting at 7pm at Gardens by the Bay! So, to be in with a chance of winning tickets for Friday night’s Singapore Social concert you must complete the following. 4. EMAIL ME WITH YOUR NAME AT AFASHIONABLELEO@GMAIL.COM! 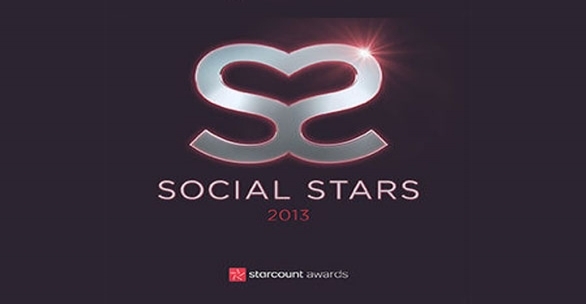 The starcount app brings you closer to your favourite stars, as well as other fans like you. Gain fanscores, fancharts and other benefits and rewards based on your usual activities on social media. As soon as you register for the App, you can start building your fanscore! Winners to be announced on TUESDAY 21st AT 20:00 ON MY FACEBOOK PAGE! Hi! I've done all 4 steps! Wish me luck! Hi all! Its come to my attention that some people can't comment here, although my settings are fine. Not sure if its something to do with blogger, anyway, I've changed it so from now on people just email me their details. But no worries whoever has commented here already will still be counting! Thanks for entering and good luck! Hi, just email your name to me to confirm your participation. The comments section on my blog for some reason isn't working for people! This is the wrong email given. Erinna. Hi !! I've completed all the steps above ! !